Jane Sanders, wife of former 2016 Democratic Socialist presidential nominee, Bernie Sanders, is reportedly under investigation by the FBI for alleged bank fraud. 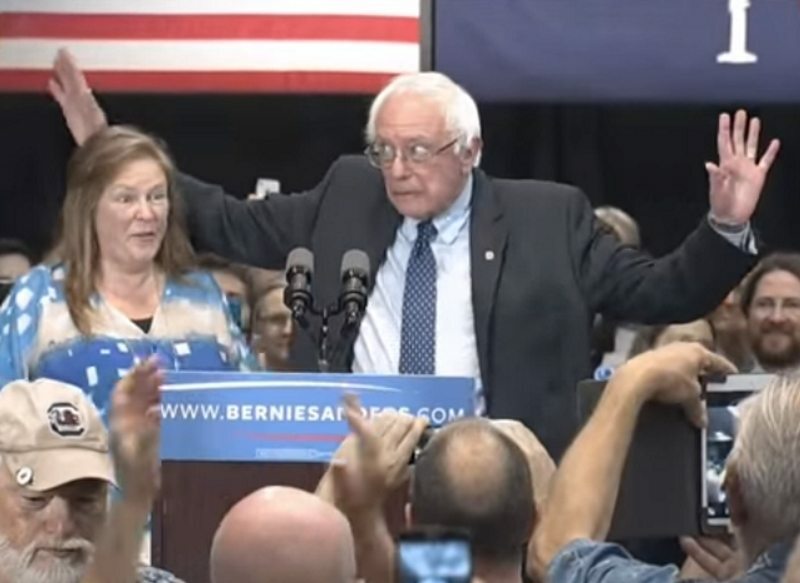 The news, reported by The Hill, stated that Federal investigators are looking into allegations that Sen. Bernie Sanders’s (I-Vt.) wife, Jane Sanders, falsified loan documents while she served as the president of Burlington College. The small Vermont liberal arts school closed down in May 2016, after going bankrupt and failing to meet accreditation standards. The college began to face financial difficulties during Sanders’s tenure from 2004 to 2011, falling $10 million into debt when the school purchased a new campus in 2010. Sanders has been accused of falsifying the information on the loan documents in order to expand the college grounds. The VTdigger.org reported that some of the donors Sanders appealed to for help with loans are now in contact with the FBI and Federal Deposit Insurance Corporation (FDIC). Sanders left her leadership role in 2011 for undisclosed reasons. She claimed the college could count on $2.6 million in donations to pay for the purchased land, according to a 2010 loan application. But she ultimately raised only a fourth of that, making $676,000 in donations over the next four years, putting the college into bankruptcy in May 2016. The numbers that donors say they pledged compared to what Sanders documented differ, according the report. “It was sometime back in March or April, during tax season,” Richard Moss, Maietta’s accountant, told the Daily Caller News Foundation (DCNF), who also reported on this story. Bernie Sanders was known for his radical socialist ideas such as free college, which could cost taxpayers $70 billion annually, “a Medicare for all single-payer healthcare system” that would replace private insurance companies with government programs that would add $14 trillion to the national debt. Sanders also attempted to sell his Scandinavian-style socialism and said the socialism he envisioned is akin to that of Sweden, and he has sought to distance himself from socialism’s Cold War stigma, although he and his wife visited the former USSR during the Cold War. Lastly, Socialists love to curtail free speech and criminalizing things is very much on Bernie’s agenda, beginning by criminalizing of political dissent, National Review wrote in July. At every event he swears to introduce a constitutional amendment reversing Supreme Court decisions [like Citizens United] that affirmed the free-speech protections of people and organizations filming documentaries, organizing Web campaigns, and airing television commercials in the hopes of influencing elections or public attitudes toward public issues. VP Pence, cabinet officials commit to weekly prayer, Bible study; A return to our roots?